A Hybrid solution is a package that includes an on premise server and a cloud server. 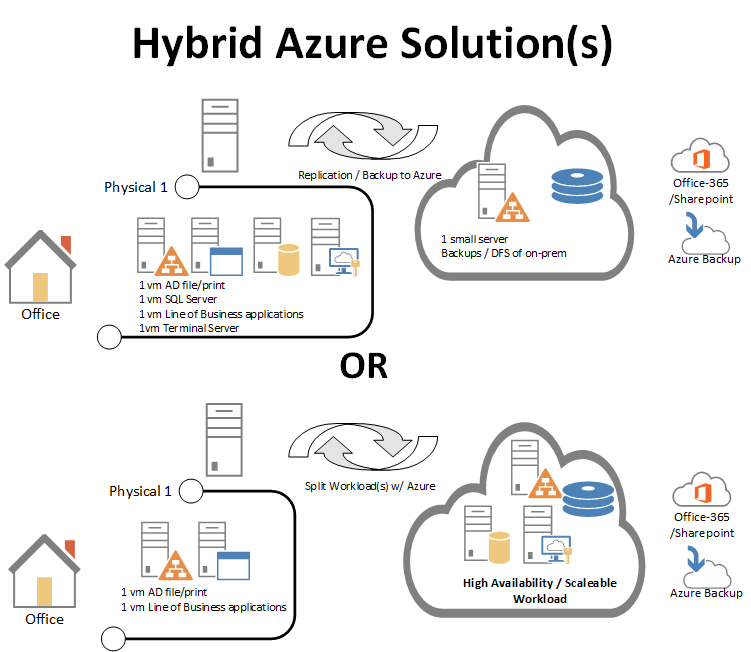 A hybrid solution offers all the the benefits of an on premise server (fast file access, ability to use Active Directory and Print servers etc) with all of the benefits of the cloud (ability to access your files from anywhere, redundancy, etc. ).